The results are in, and the March Asia Week auctions on Bidsquare featured exceptional prices! 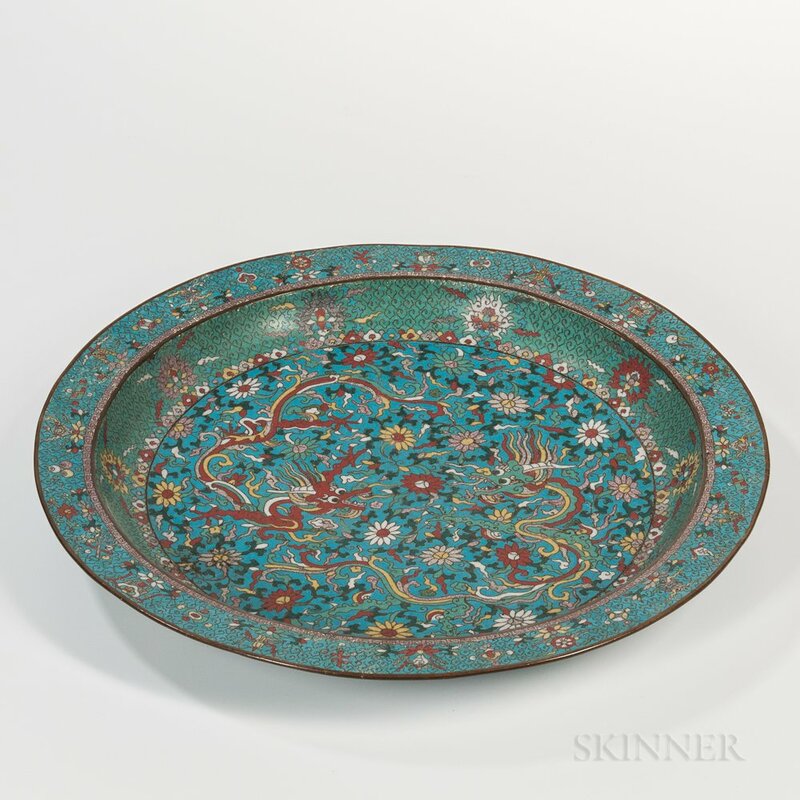 Many auction houses including Skinner, Brunk and Leslie Hindman yielded strong results for their Asian works of art from regions including China, Japan, India, and the Himalayas. Chinese art is still the top performer as evidenced by the top pieces sold at Skinner’s Asian Works of Art auction on March 22. The biggest surprise was lot 298, a large cloisonné charger with dragons. Conservatively estimated at $1000-$2000 and with a ‘Ming-style’ attribution, this object realised almost 32 times its low estimate with a realized price of $319,800! The large charger is decorated with two confronting dragons in the central scene, all on a sky-blue ground containing floral blooms and Buddhist emblems. It was made using the complicated cloisonné technique which involves applying metal wires to create the bronze vessel’s designs. The raised spaces are then filled in with different colored enamels. The dragons are particularly attractive with their sinuous bodies, fierce expressions, and multi-colored hair. The base has the six-character mark 大明萬曆年製 which translates to ‘made in the Wanli reign (1572-1620) of the Ming Dynasty’. Vessels of this size and quality of decoration would have been exceptionally rare for this period and are associated with the imperial household. 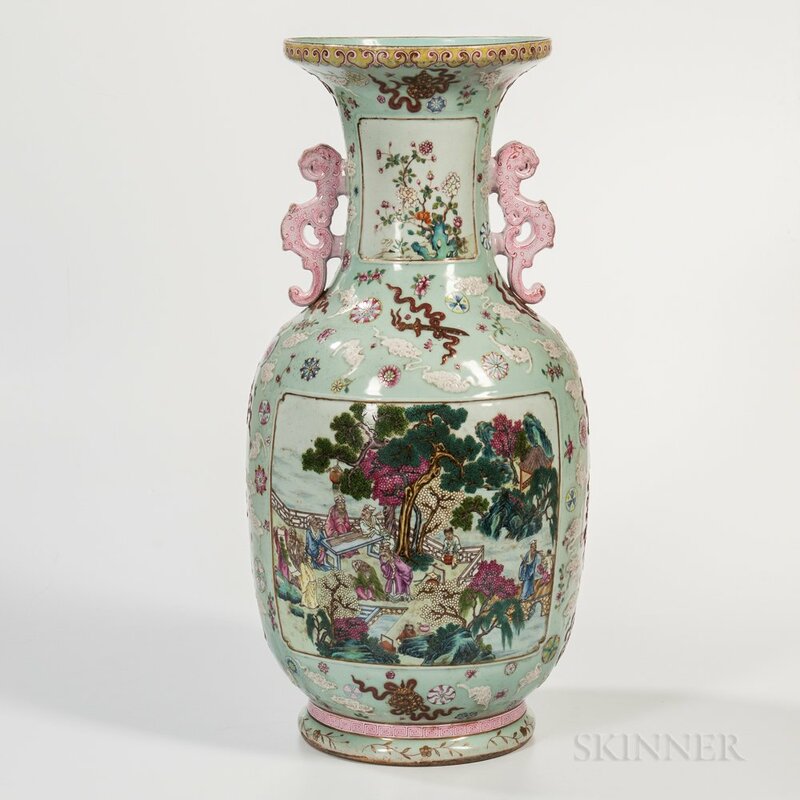 Another incredible result at Skinner was lot 216, a massive famille rose enameled vase. This vase also sold for many times (140 times to be exact) its estimate, realizing $43,050. This was much more than its original estimate of $300-$500! The unusually large vase is dated to the late 19th Century and decorated with two well-painted scenes. One image depicts scholars appreciating the ’noble’ arts which includes playing the qin and examining paintings. The other side is an episode from the classic novel ‘Romance of the Three Kingdoms’. Here, the three brother generals, Liu Bei, Guanyu and Zhang Fei, are trying to recruit the strategist Zhuge Liang for their military campaign. This vase pays homage to imperial examples from the Qianlong reign (1736-1795). This is further exemplified by its six-character reign mark 大清乾隆年製, which translates to ‘made in the Qianlong reign of the Qing Dynasty’. 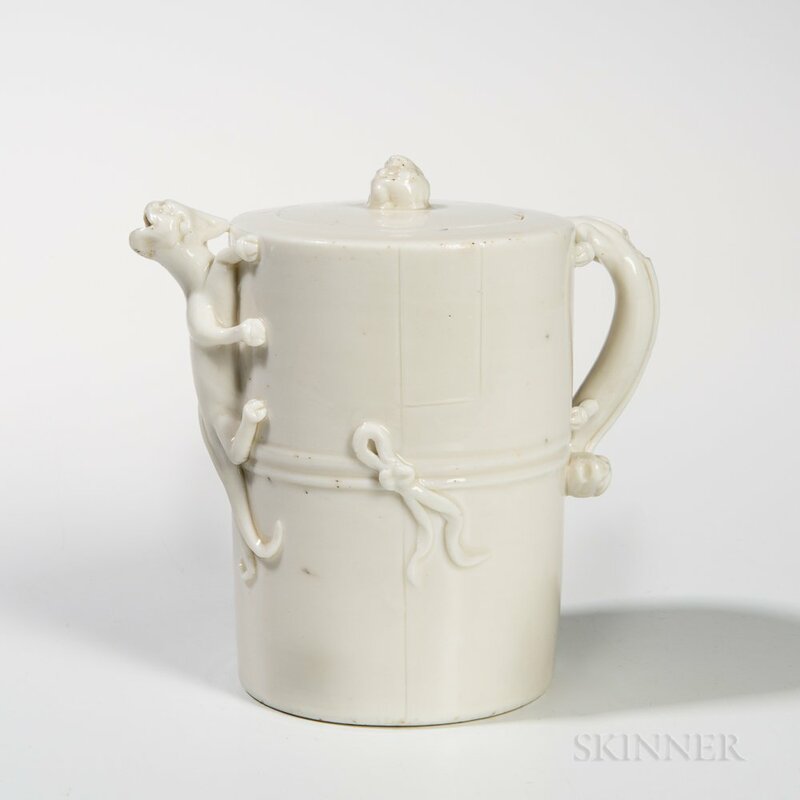 Finally at Skinner is lot 43, a Dehua wine pot and cover. Against an estimate of $700-$900, it sold through Bidsquare for $12,300. This vessel has a solid provenance in that it came from a Maine Estate, and was purchased through Parke-Bernet New York back in 1972. The ewer features one of the more popular styles of blanc-de-chine porcelain. Originating from the 17th Century, its elegant cylindrical body is decorated with an archaic dragon-styled spout and handle. Another Asian Art highlight that sold through Bidsquare took place at Brunk’s ‘Premier Auction’ on March 23. 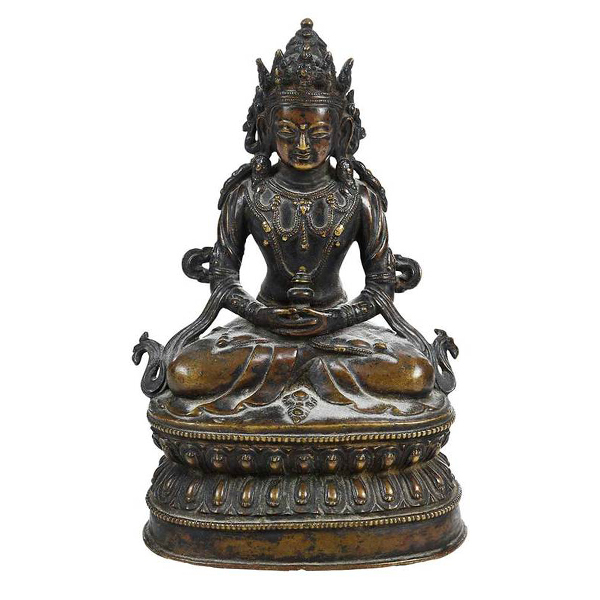 Lot 1495 was a bronze figure of Amitayus from Tibet. Symbolizing eternal life, Amitayus is one of the most important deities of the Buddhist pantheon. Here, he is seated in lotus position with hands in meditation and holding a reliquary container. This attractive figure sold for $18,450 against an estimate of $2,000-$3,000. It comes with an old Christie’s receipt dating the object to the late 16th Century. 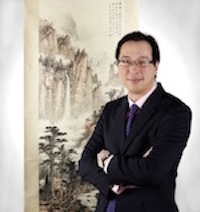 Over in Chicago, Leslie Hindman Auctioneers held their Asian Works of Art auction on March 25. 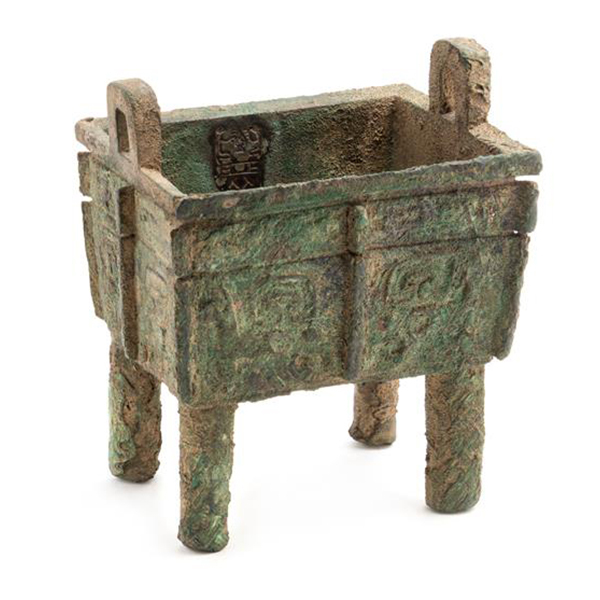 One of their top selling pieces was lot 135, a rare bronze ritual food vessel. Dated to the late Shang Dynasty (12th-11th Century BC), this object is both impressive for its decoration and provenance. The exterior features various flanking taotie monster masks, while the interior is inscribed with a rare symbol of two kneeling figures. This vessel belonged to an important Chicago collector and is published in Robert W. Bagley’s ‘Shang Ritual Bronzes in the Arthur M. Sackler Collections’ (1987). It sold for a stunning $187,550 against an estimate of $60,000-$80,000. 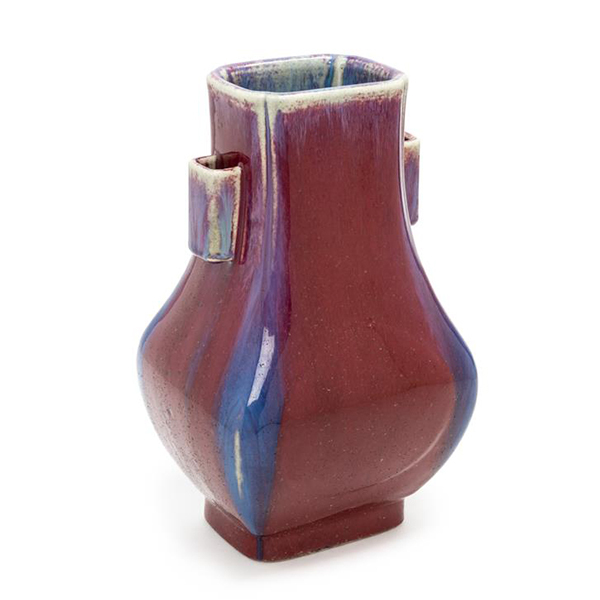 Another highlight from Leslie Hindman Auctioneers was lot 36 a flambé glazed porcelain vase. The elegant form of this vase is based on Chinese Bronze Age examples and it contains an extremely rare six-character Xianfeng reign mark (1850-1861). During the Taiping revolution (1850-1864), the imperial kilns in Jingdezhen were destroyed in 1855. In consequence, the quantity of Xianfeng marked porcelain was extremely limited and collectable. As a result, this vase with an estimate of $6,000-$8,000 sold for $47,880. 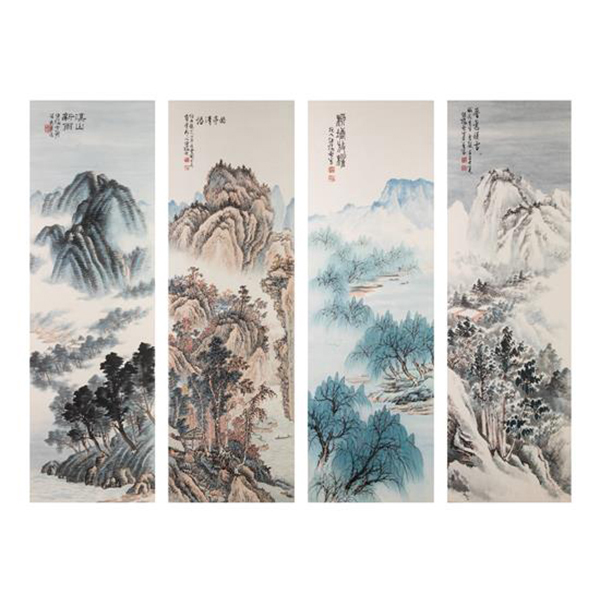 Through Bidsquare, Leslie Hindman sold lot 453, a set of four landscape paintings by Fu Juanfu (1878-1949) for $9,450. 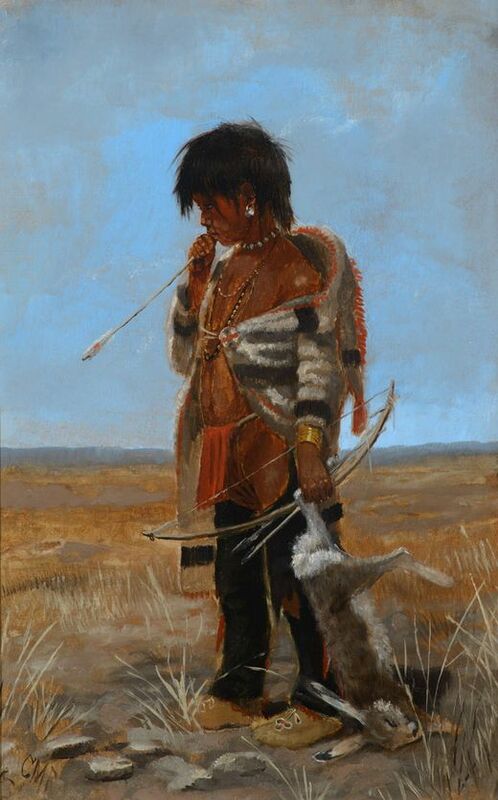 This artist is most famous for his landscape paintings where he combines Chinese traditional styles with modern painting techniques and perspective. These paintings originated from the estate of Julius Wei-Wu Sih (1921-2013), a prominent Chicago-based civil engineer.